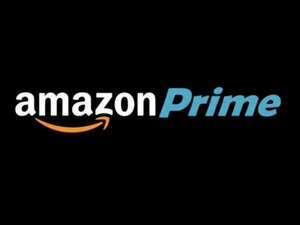 Until 8th July, join Amazon Prime for £59 and save £20 on your first year's membership. Enjoy benefits including unlimited One-Day Delivery, instant access to movies and TV shows and secure unlimited photo storage. If you sign up today you’ll also be able to access Prime exclusive deals on 15th July. Offer is only available by clicking the 'Get Started' button above. Ends 23:59pm 8th July. Available to new Prime members only. After your first year, your Prime membership will renew for £79/year. Cancel anytime. Never paid for prime in the last 5 odd years, just use a free trial all the time, plus if you have a problem when something is not sent out on time go on the chat and they give you another month on top of that . Does anyone know if you will be eligible for the prime exclusive deals on the 15th if you have a shared membership or would it just be the main user who can access the deals? Does anyone know if you will be eligible for the prime exclusive deals on … Does anyone know if you will be eligible for the prime exclusive deals on the 15th if you have a shared membership or would it just be the main user who can access the deals? Any idea what's in the exclusive deals? recent sign ups aren't going to be too happy! Prime Day is a global shopping event, offering more deals than Black … Prime Day is a global shopping event, offering more deals than Black Friday, exclusively for Prime members. On Wednesday, 15th July new and existing members will be able to shop for thousands of Lightning Deals, Deals of the Day, and will receive unlimited One-Day Delivery. Members will find deals starting at midnight BST, with new deals starting throughout the day, as often as every ten minutes.Prime members can find deals on products across categories including electronics, toys, video games, movies, clothing, patio, lawn and garden, sports and outdoor items and more. Members will enjoy deals on items perfect for summer adventures, their to-do list, family road trips, back to school supplies, and everyday essentials. Prime members can shop on any device, including smartphones and tablets and enjoy deals anytime, and anywhere. I think it's time... It's time to Prime! hmm they have just renewed mine at £79 so not pleased that new customers save over existing ones. Amazon Instant Video is bloody awful. My dad gave me his details and I never have a reason to use it. The film selection is dire, whenever you log in and see whats "new" it's the same films from five years ago you didn't even want to watch back then. The few TV shows that were available six months ago like Lost have all been taken off. I have limited experience with Netflix but I don't think they can even be compared. Tell me about it. I bought my dad prime two weeks ago, as a gift for fathers day. Oh well... hopefully "prime day" makes up for it. I'm not a huge shopper of Amazon. hmm they have just renewed mine at £79 so not pleased that new customers … hmm they have just renewed mine at £79 so not pleased that new customers save over existing ones. is this really worth £60?? This now means you can get prime next day delivery for about £9 for the year. Amazon Instant Video is bloody awful. My dad gave me his details and I … Amazon Instant Video is bloody awful. My dad gave me his details and I never have a reason to use it. The film selection is dire, whenever you log in and see whats "new" it's the same films from five years ago you didn't even want to watch back then. The few TV shows that were available six months ago like Lost have all been taken off.I have limited experience with Netflix but I don't think they can even be compared. Its worth it if you use the sevices I think. 12 months TV service which is OK, a kindle book from their library each month which is pretty decent, the delivery service, and the ability to give the delivery service to 3 other people. Also 20% off of nappies etc if you have young children. If you can make use of the above then for me £60 is pretty good value. Its worth it if you use the sevices I think. 12 months TV service which … Its worth it if you use the sevices I think. 12 months TV service which is OK, a kindle book from their library each month which is pretty decent, the delivery service, and the ability to give the delivery service to 3 other people. Also 20% off of nappies etc if you have young children.If you can make use of the above then for me £60 is pretty good value. I didn't know you could give delivery to 3 other people! Cab it be anyone or just family? Very tempted, with the free delivery limit £20 and a charge of say £2 each delivery if I buy a couple of things from Amazon a month which I usually do, I'd probably break even on this. If only Amazon Prime was on Apple TV. Has everybody forgotten that prime used to be £49 for the year not long ago? I didn't know you could give delivery to 3 other people! Cab it be … I didn't know you could give delivery to 3 other people! Cab it be anyone or just family? or shared prime at £17 each! Tell me about it. I bought my dad prime two weeks ago, as a gift for … Tell me about it. I bought my dad prime two weeks ago, as a gift for fathers day. Oh well... hopefully "prime day" makes up for it. I already share Prime with my brother and it hasn't half gone down the nick. I'd say around 50% of the orders I make don't actually offer a 1 day delivery slot, even though they show as being in stock. Even worse, if you look at an item while not logged in it will often say "With Prime you could have this delivered tomorrow" but as soon as you log in with your Prime account this will change to a couple of days away. It's still worth me having because I'm paying a fraction of the cost for it by sharing, but bear in mind the delivery side of it isn't as consistent as advertised. very true quote /well said (I upgraded to prime 3 months ago and am very happy, had always next day delivery and a good selection of horror films that me and girlfriend watch,we also have netflix. (but we paid £79 boo hoo)you win some you lose some. Having been prime member for years and my last year was free due to a free month every time a delivery wasn't on time I now use the new email every month as won't pay for the unreliable service anymore. I now see that items are now longer guaranteed next day but have a 1-3 day delivery (well 5 items I wanted the other day, all different categories of items as well). Can you sign up then switch to family? But where is the free month's trial? Although it was £79 before it was effectively for 13 months, at £59 it's only for 12 months....?? ?